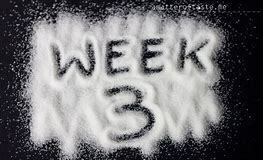 We are starting week three and the rest of the state will be returning to school this week as well. This first nine weeks seems to be flying and we are seeing results already. The feedback from the administrators observations in classrooms is evident we are yielding positive results! Remember in a couple of weeks we will have our first parent/teacher conference and in seven weeks we have our Fall Intersession! Have a great week and continue to Lead the Way to Be the Difference!! !